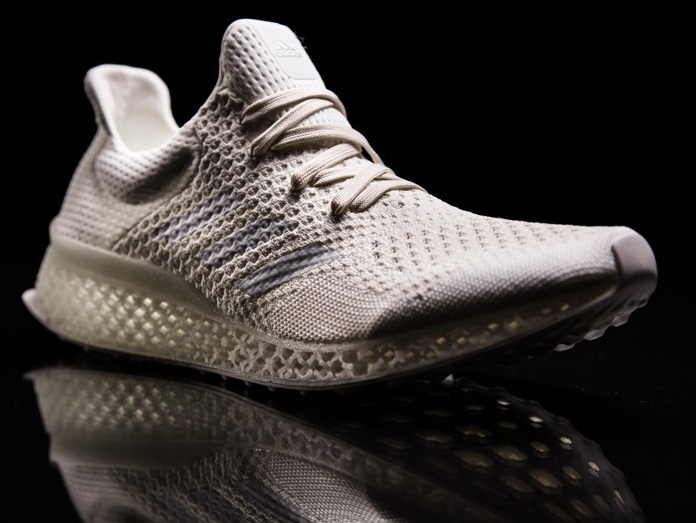 On October 7, 2015 adidas unveiled the future of performance footwear with Futurecraft 3D, a unique 3D-printed running shoe midsole which can be tailored to the cushioning needs of an individual’s foot. The 3D concept is part of the ‘Futurecraft series’, a forward-looking initiative that places open source collaboration and craftsmanship at the heart of design to drive innovation across all elements of production. adidas has created a unique combination of material and process. The production breakthrough will take the running shoe standard to the next level, offering unprecedented individualized support and cushioning for every foot, to enable athletes to perform at their best. Their 3D-printed midsole not only allows us to make a great running shoe, but also to use performance data to drive truly bespoke experiences, meeting the needs of any athlete. True to the Futurecraft vision of creative collaboration, Futurecraft 3D is possible through an open source partnership with Materialise, a pioneer and leading specialist in 3D printing. After some time looking through some emerging materials to use, they discovered a truly perfect and unique material: modified thermoplastic polyurethane (TPU). TPU can deliver performance. It’s brand-new in the marketplace and convinced them with its durable elasticity as well as high tear strength and abrasion resistance. They quickly applied this material to the most suitable printing method – Laser Sintering, a process that is so accurate that they could create almost any design. What do you think about the concept of 3D printed running shoes? Do you want a pair?